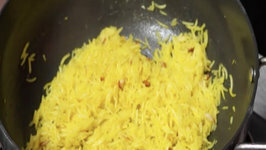 The presence of the word Shahi always hints at the richness of a recipe. 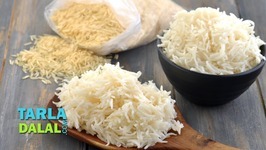 Indeed, the Shahi Pulao is a dish that is loaded with spices, veggies and a horde of other ..
Phirni or Firni is a broken rice pudding served cold. 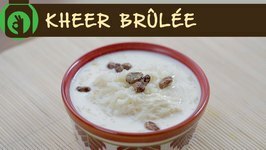 Similar to Kheer that is made with whole rice and is served both hot and cold. 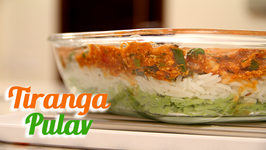 In this video, we will make Kabuli Chana Biryani, which is a very easy to make dinner recipe. 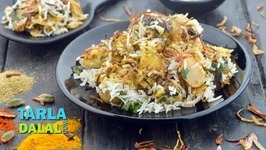 This one pot recipe for hyderabadi style biriyani is just as good as the one .. 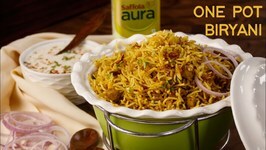 The rich flavour of the gravy and the succulent crunch of deep-fried baby potatoes make this Aloo Biryani an experience to remember. 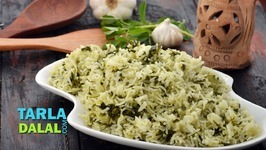 Simple elegance, that describes the Palak Pulao best of all. 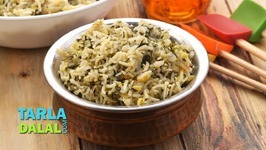 Easy and tasty, this Spinach Rice is loaded with spinach and moong dal, and derives its flavour from .. 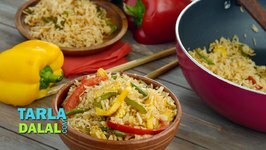 Kick start your favourite Mango recipes a little early with this khatta meetha 'Mango Rice' dish that will definitely become your all time favorite. 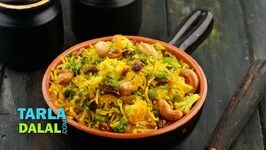 Here is a peppy rice dish with the tangy taste of amla, which is a must-try when the berry is in season. 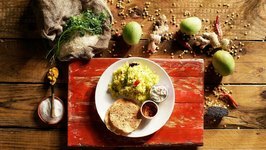 It has a refreshing taste, which excites the palate. 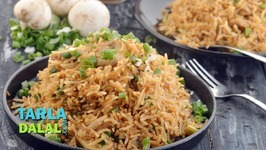 Mushroom Rice is one of the all-time favourite Chinese dishes that has won the hearts of many generations of people not just in China but across the world. 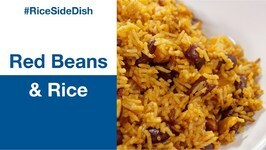 Pressure cooking has made life easier for us by reducing the time taken to cook many dishes! 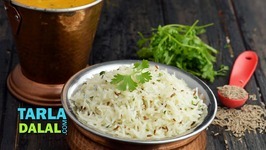 Basmati rice can also be cooked using this handy tool, if you use the right ..
An evergreen favourite, the Raw Mango Rice is prepared in South Indian homes at least once a week when the mango season is on. 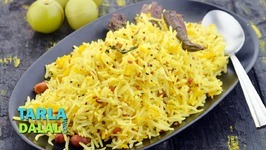 If possible serve it immediately to enjoy the flavours as well as the crispiness of the jeera. The last step of adding melted butter is imp to get shine and light yellow ..
Fenugreek leaf has a unique flavour that is slightly bitter but very appealing to the taste buds. 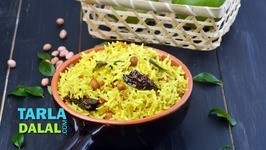 The lilting aroma of methi together with its lingering flavour make it a .. 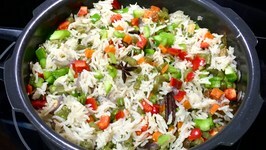 Learn how to make Tiranga Pulav - Vegetarian Tricolor Rice - Recipe by Ruchi Bharani Celebrate Independence Day with a special Recipe Tiranga Pulav - Independence Day ..
Aloo Biryani, alu biriyani or dum aloo biryani, is a main course rice dish, made by marinating baby potatoes in a rich flavorful homemade masala blend, then layered with .. Satisfy your sweet tooth cravings with this delectable 'Kheer Brulee'. 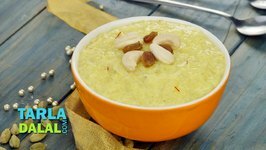 Paal Payasam is a must-serve item during south Indian festivals, weddings and other auspicious occasions. 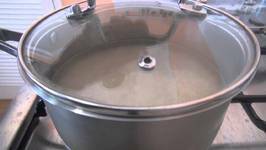 You must be thinking I have gone totally crazy with pressure cooker cooking but let me tell you the quick story of what is happening at present. 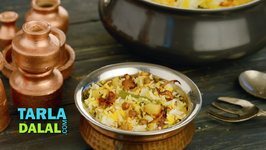 A unique tiffin that your kid is sure to love! Children are generally very fond of the flavour and texture of cheese, but sometimes parents find it challenging to pack .. 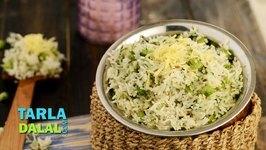 All-time favourite Vegetable Fried Rice in a Jain-friendly version, made without onions, garlic and other no-no ingredients. 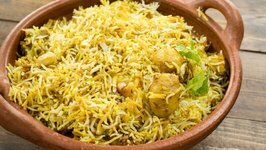 Handi Biryani is absolutely superior to those made with other methods like open or pressure cooking, even though it appears to use similar ingredients. 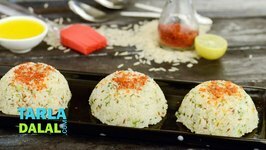 Khichu is a traditional savoury dish made with rice flour, perked up with whole spices like jeera and spice powders like sambhar powder.